Most educational institutes and research laboratories still depend on on magnetic tape to store their data collections. Hitachi lately declared that it has developed a medium that can live longer than not only this old-school format but also CDs, DVDs, hard drives and MP3s.The electronics giant affiliated with Kyoto University's Kiyotaka Miura to develop “semiperpetual” slivers of quartz glass that Hitachi says can store information for hundreds of millions of years with virtually no degradation. 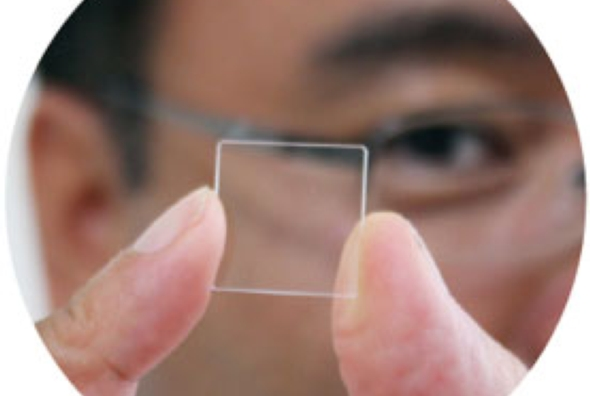 The prototype is made of a square of quartz two centimeters wide and two millimeters thick. It houses four layers of dots that are created with a femtosecond laser, which produces extremely short pulses of light. The dots represent information in binary form, a standard that should be comprehensible even in the distant future and can be read with a basic optical microscope. Because the layers are embedded, surface erosion would not affect them. The medium has a storage density slightly better than that of a CD. Additional layers could be added, which would increase the density. But the medium is more remarkable for its durability. It is waterproof and resistant to chemicals and weathering, and it was undamaged when exposed to 1,000-degree heat for two hours in a test. The results of that experiment led Hitachi to conclude that the quartz data could last hundreds of eons. “If both readers and writers can be produced at a reasonable price, this has the potential to greatly change archival storage systems,” says Ethan Miller, director for the Center for Research in Intelligent Storage at the University of California, Santa Cruz. The medium could be ideal for safekeeping a civilization's most vital information, museum holdings or sacred texts. The question is whether the world as we know it would even last that long.